My little guy loves playing with cars of any colour/shape/size/make so these Tonka Tinys were perfect for him! The Tonka Tinys mini build makes them the perfect on-the-go toy and now kids can transport their Tinys with ease and style with the Tonka Tinys Car Carrier. 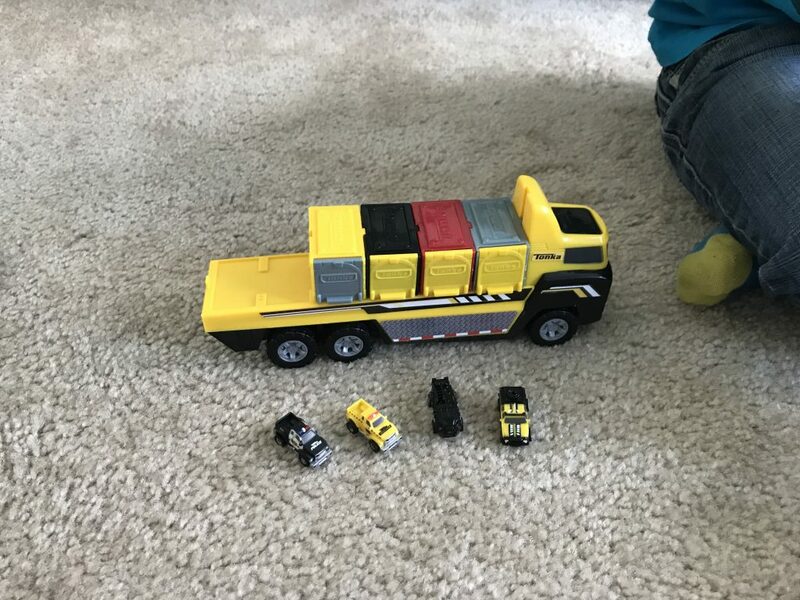 My kids LOVES this little transport truck! It can store and carry 12 or more Tonka Tinys vehicles in the garages, which are interlocking and attach to the flatbed. The truck even comes with one garage and a Tonka Tiny vehicle so you don’t have to get those separately to play right away. The front has a large (easy to push for little ones) button at the top, and it launches up to 3 loaded Tonka Tinys vehicles out the front! At $9.99 it is definitely an affordable option for parents as well. Of course it is more fun with more garages and vehicles! Each car or truck comes with an individual garage to store your Tonka Tiny – you won’t know which vehicle you’re going to get until you open the garage for an exciting surprise! All Tinys garages interlock and stack so you can build your own storage space as you collect them and they are only $2.99! The detail is amazing for such tiny little toys and the kids love the surprise of which vehicle they are going to get when they open it up. 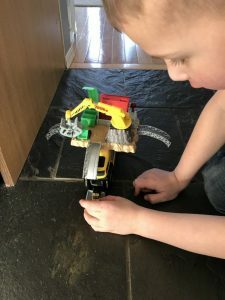 There are a variety of Tonka Tinys sets that all mix and max perfectly, the Rescue Response Station featuring 3 levels of Tonka Tinys fun – launch your vehicles over the flames, through the cinder block wall, and down the main gravity ramp! The Tune-up Garage featuring a working vehicle lift, conveyor belt, three bridges and a rotating garage sign, Tonka TINYS Blast And Dash Quarry where vehicles can race down the slide, take a perilous ride over the toppling tower, and activate the real working detonator! 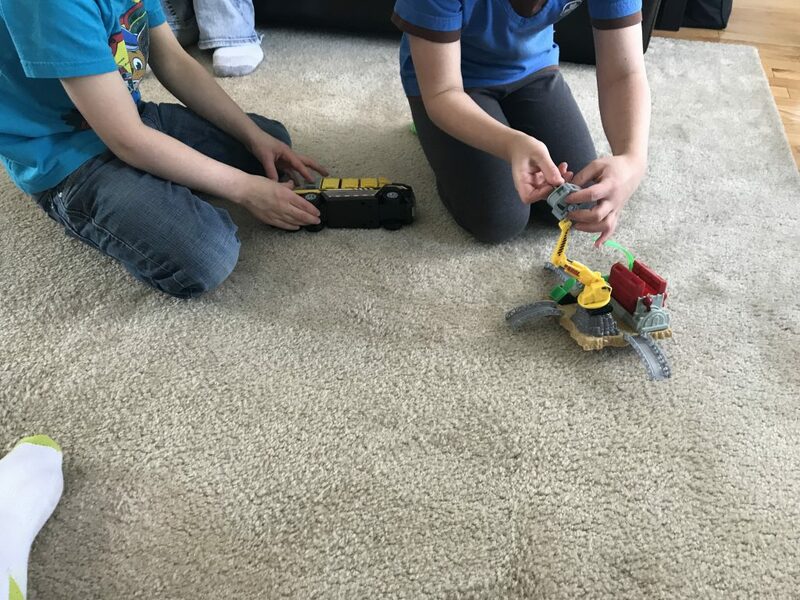 and this super cool Tonka TINYS Car Crush Escape Playset featuring a working crane, car crusher and catapult, you can crush it and launch it to your heart’s content! 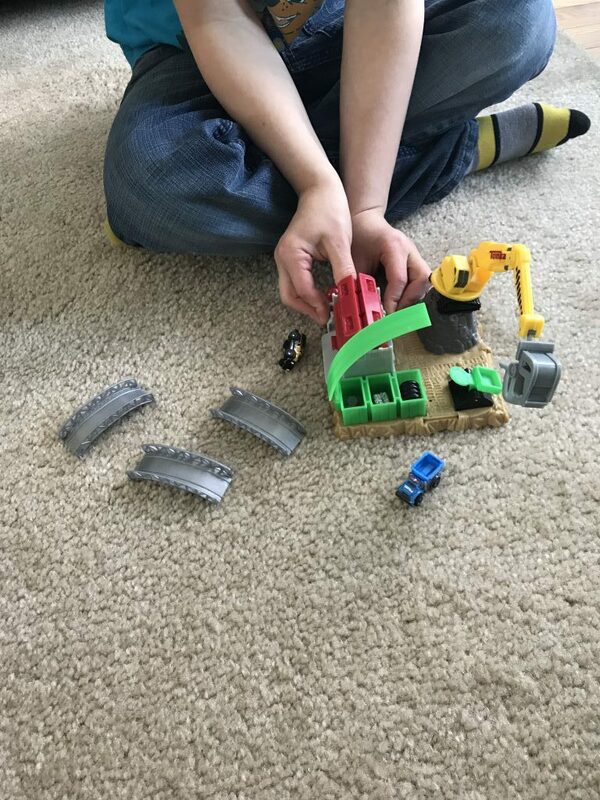 This set is easy to assemble with just 3 little bridges to attach and has a spring loaded, rotating crane that kids can easily pinch together to pick up vehicles (or the other little items it comes with) and drop them in the car crusher, the vehicle can escape out the side of the crusher by lifting a little door. This set also comes with it’s own exclusive Tonka Tinys vehicle and retails for $14.99. They are the same size so kids can use their imagination to play, stack, collect, crush, drive, load, unload and so, so much more! 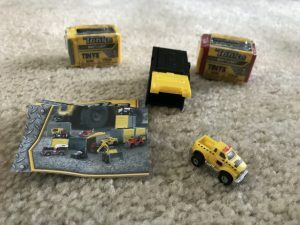 Tonka Tinys are recommended for ages 5+ and I can see why with the tiny parts, but they are very easy for the little ones to use – no hard to click or open parts! 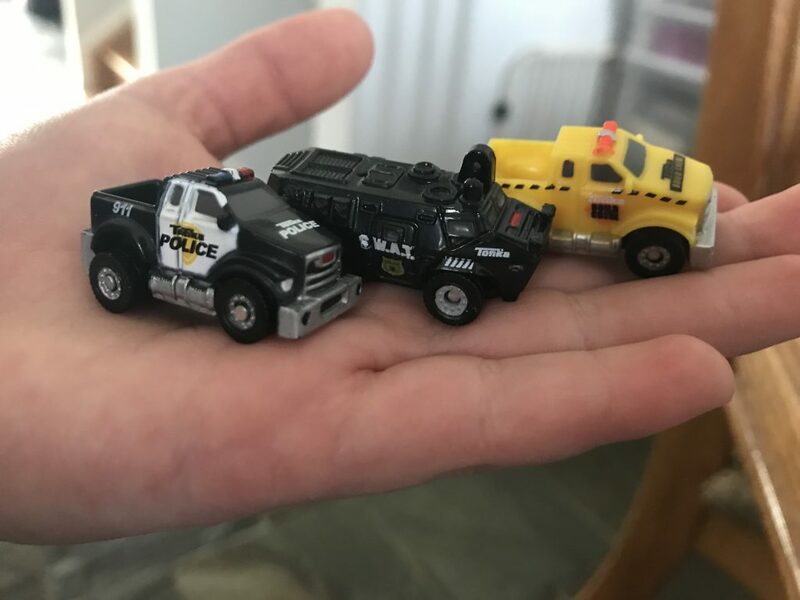 Each Tonka Tiny playset includes a blindbox Tiny that is unique; kids can have fun collecting all the different types of vehicles individually and with the playsets! There are so many to collect we’ll definitely be working on this collection in our house.